S.L. 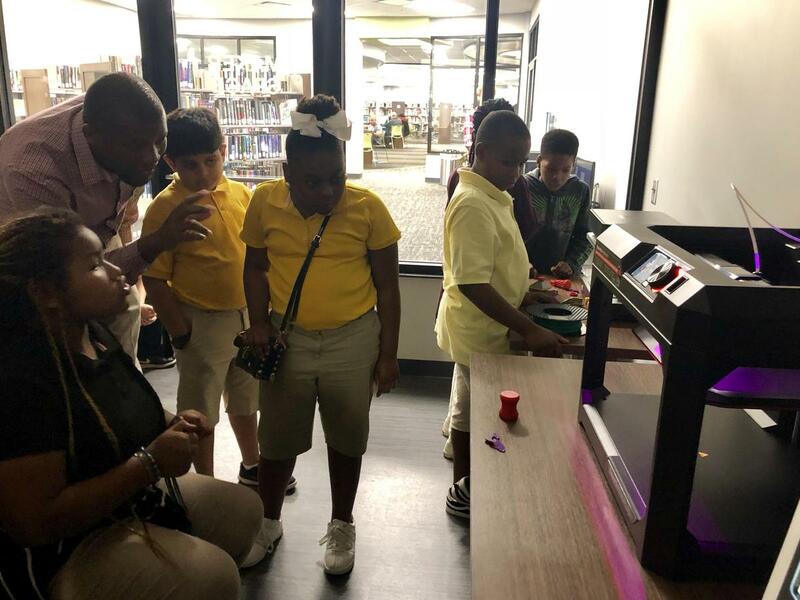 Mason's Read 180 students had a really neat experience on November 7 at the Willis L. Miller Library. Moreno Waters, Yug Patel, Amari Scruggs, Antawn House, and Jalan Scott were thrilled to see a real 3D printer after reading the book Lending a Helping Hand by Karen Lichter. Thanks to everyone at the library for your help in making this special trip a reality.